AdFly Review – Is it a Scam or Get Paid Shortening Links? I’ve used AdFly in the past and made some money with it. I wanted you to know in this AdFly review what you should expect from such a system and what sort of money you can earn. You could be at 1 or 2 of the spectrum…the absolute bottom where you will earn a few cents or top tier where you can be earning upwards of $20-$40 per day. In this article I will go in-depth on the AdFly system, how to make money with it and if it’s right for you or a waste of time. Because I know for a fact that it’s not easy to make a decent passive income, it takes hard work, a lot of fine tuning and a heck of a lot of patience. Anyway lets start this review so you know what they have to offer! AdFly is a PTC website (pay-to-click), meaning you have the ability to shorten links and get paid if someone clicks your link. The more people that click on your link, the more you get paid. But I’ll talk more about how much you can earn later. Another way of earning money is to be an advertiser, which is the more complicated way and we’ll talk about both of these methods in this article. So how do we make money with AdFly, Brandon? Being a publisher means you post links and get paid when someone clicks your link. The amount you get paid all depends on where the person is from that clicked your link. For example: United States pays more than China. But on average you earn around $1/2000 clicks. Keep in mind that the person who clicked your link will need to stay on the website for the 5-second duration before you receive your earnings. How exactly do we post links? Step 1: Find a web page on the internet that you want to shorten. Step 2: Copy that domain name into your AdFly account and click “Shrink”. This will give you a link that looks similar to this: http://covelign.com/27eE. That is a link to Google if you were curious and it was an example of what your special link will look like. Step 3: Copy the link and find places to post it. And that doesn’t mean spamming it because that is against their ToS and if you’re caught spamming, you will be banned. So that is the gist of being a publisher but as you might already know, it’s not as easy as it sounds because it’s getting a lot harder to make people click on unidentifiable links these days. People aren’t trustworthy as they use to be and that’s become a big problem for link shortening sites such as AdFly. The other way to make money is to become an advertiser. This part is much more difficult and I recommend you stay away from this method unless you are know how to capture leads. But before we get into lead capturing, let me explain what an advertiser is. An advertiser is someone that pays to show their ad/page to a certain amount of people. The cost of advertising varies with different traffic sources but if you invest in AdFly traffic this will cost you, on average, $1 per 1000 views for worldwide traffic. United States traffic alone is $5 per 1000 views, but that is considered top tier which is why it’s so expensive. Okay, so in my opinion the referral program is the most exciting service within this whole system. Why? Their 20% earnings for life off of every referral you bring in, of course! For example, if you invite your friend and they earn $10, you will earn $2 automatically without doing any work. That’s 20% of all their earnings they earn throughout their lifetime on being on the website (if they choose to be a publisher). If they become an advertiser and throw in $200 on advertising for one of their web pages, you earn 5% commissions which equates to $10. Imagine if you recruited 50 people, 100 or even 1000 people. Imagine the type of passive income you could create for yourself then. Here’s a screenshot of my referrals I bought in years ago. It isn’t much, however, keep in mind that I didn’t have that many referrals, but you get the gist that making passive income with referrals is the better option. Realize that it’s not much money at the start only until you get more and more referrals, that’s when it starts to get more passive. Most of these referrals will need to be actively posting links or paying for advertising to earn money off of their work. That’s why I can’t emphasize enough that the more referrals you have, the more likely hood people are going to post links and make money, which of course will make you money. Yes, I know I made AdFly sound like a great system because it’s possible to make good money if you know what you’re doing and put in the time to try different things. However, there are some major flaws that others will not tell you. And because I’ve used AdFly in the past to make money, I want to share the exact same problems I faced so you can see if it’s still worth investing your time in. The bad thing about AdFly and other link shortening websites is that they have been around for a VERY long time. What you’re thinking of trying has been thought of by thousands of others who have shortened links in the past and found great success. But because people were making so much money with them, the most popular sites have banned shortened links so your chances of getting good traffic have gone down tremendously. Yes, this does include Facebook, Twitter, Instagram, etc. One website that still allows them is YouTube and that’s a whole other ball game creating videos and trying to get them ranked. But then you have to try get people to click your links too. Fortunately there are blogs and forums that still allow them and if you can find your own twist, you can still make it work and find good success. But believe me when I say it won’t be easy and it’ll require a whole lot of trial and error before you find a winning strategy. As with all things in life, the best things ain’t easy and that couldn’t be anymore true when it comes to getting referrals. Not just with AdFly but with all online systems that offer some type of recruitment program. No one wants to be sold to and no one has the time to post links to make money. However, if you can find these people that ARE looking for extra money, those are the people that are hungry for these systems and they will work, work and work some more. Taking into consideration that they’re actually making money with it and enjoying the process, because if they’re not, they aren’t going to continue working with AdFly. The major flaw with AdFly is if you’re advertising your website or one of your lead capturing pages, it is not going to be an easy task getting anything in return for your investment. None of the traffic is targeted and even when I purchased 100,000 visitors with my lead capturing page (where I give something for free in exchange for their email address), I received literally ZERO sign ups. This was a shocking surprise as I thought I would get at least 10-100, but that wasn’t the case. So think twice if you think you’re going to find yourself an affiliate program to promote then buy traffic, because it will not convert and that is the most major flaw with being an advertiser. Don’t be fooled by the cheap prices for thousands of visitors to your web page because it is junk traffic with no geotargeting. And without targeted traffic, you are doomed to fail because you don’t know who you’re actually selling to! Is It Free & How Do I Get Paid? Yes, being a publisher on AdFly is free and always will be free. The only time it will cost is if you become an advertiser. Advertisers pay the publishers in essence because that’s where all the money comes from. 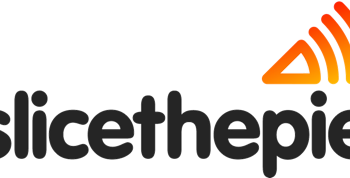 Getting paid through AdFly is done via Payoneer or PayPal with minimum payouts of $10 (Payoneer) and $5 (PayPal). One thing I really like about AdFly is their daily payout option. They allow you to withdraw your earnings every single day! 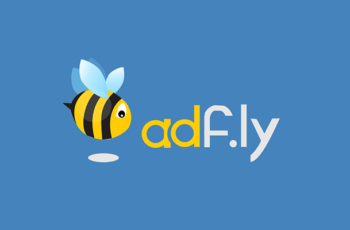 Before we move forward I would like to emphasize that AdFly is not a scam and have been around for an extremely long time. They have held a solid reputation for the time they’ve been on the internet, they pay on time and never hold back your earnings. 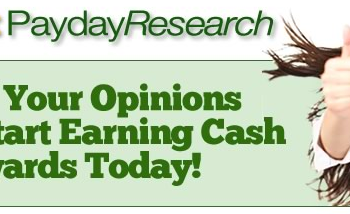 They have a great daily passive income source if you can get it to work for you. Keywords are “if you can get it to work for you” because I cannot tell you any methods as the last time I used AdFly was years ago and the internet has changed since then. But on the other hand, do know that those who experiment with different techniques and create their own twists, those are the ones that make daily passive income and find success. The other way is to get hundreds and possibly even thousands of referrals that which actually make money, because when they do, so do you. 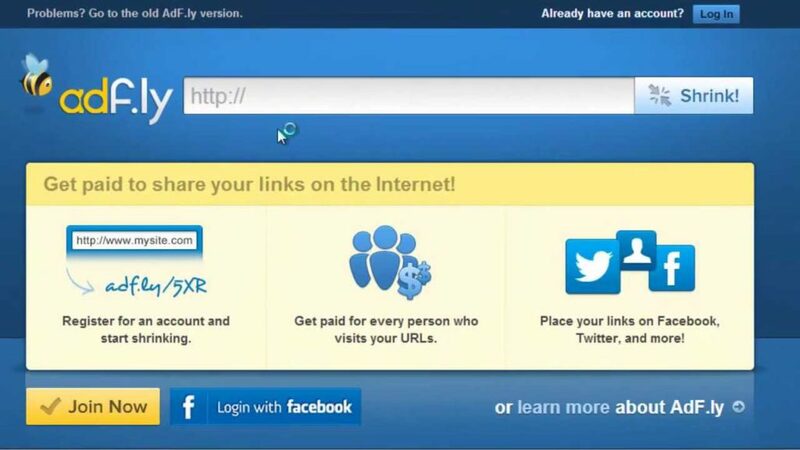 What you’ll be doing with AdFly is not easy and most websites are making it difficult to post shortened links nowadays. I can’t promise you how long these sites will be around for because too many people spam links and make click bait titles just to get a click. That’s why if you’re caught spamming, you will be banned. However, I do like that AdFly change their shortened links every so often which means they are being active with the community and trying to keep their business afloat. 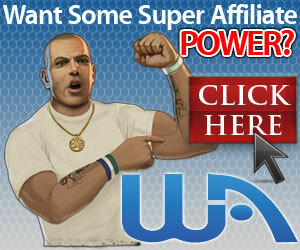 I only know that the only thing worth trying is Wealthy Affiliate. They teach you how to create your own online business. You will not be messing around with shortened links, just creating a website about your passion, getting ranked and then making money. After a while it gets passive, and the best thing about it? You can make much more money than what your day job is earning you. Thanks to the power of the internet and affiliate marketing, the internet has created so much more opportunities than what you’ll find in the real world which is why I’m sharing with you my favorite method of making money online. Will Affiliate Bots 2.0 Work or Is It Just Another Hype Scam? 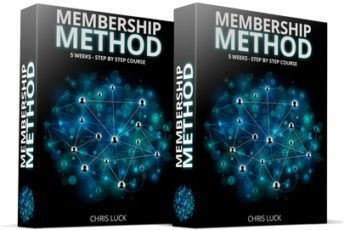 Membership Method Review: One Big Scam or the Answer to Your Prayers? Seacret Direct Review – Can You Really Make Money With It? Slice the Pie Review – Scam or Make Lots of Money Reviewing Music? Amazon Mechanical Turk Review – Can You Make Good Money As a Worker? Project Payday Review – Is PP A Scam? 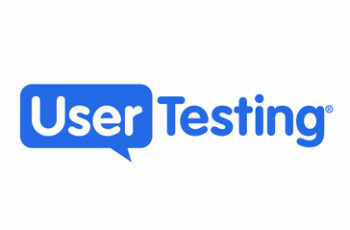 Is UserTesting a Scam or a Legitimate Money Making Opportunity?